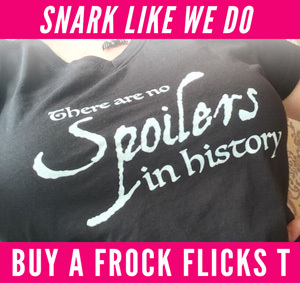 This Halloween season, Trystan is indulging her gothy love of black garb in frock flicks fashion by looking at some of the most fabulous black dresses in historical costume movies and TV shows. Black wasn’t just worn for mourning, after all! Black clothing was something of a status symbol in the late medieval and early renaissance period because the dyes to make a true, solid black were somewhat expensive and complicated to produce. Wealthy Italian merchants a la the Medicis and upper-class Spanish courtiers were often painted in rich black clothes, and the fashions spread northward to figures like Diane de Poitiers who became renown for dramatic black-and-white gowns. But black clothes have often been worn for somber occasions in Christian cultures. In Elizabeth R (1971), the queen requires her entire court to wear black as mourning in response to the St. Bartholomew’s Day massacre. 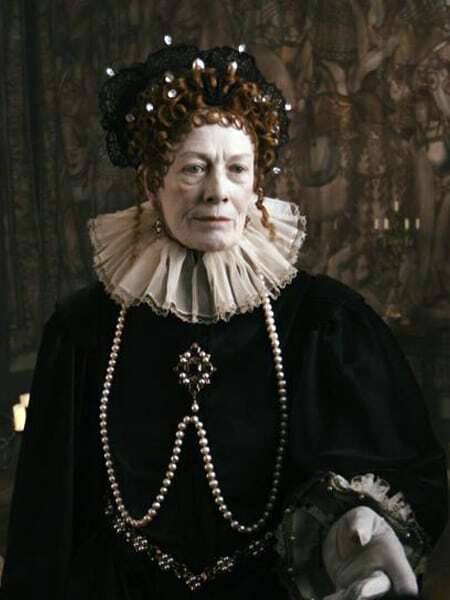 In most screen versions of Mary Queen of Scots’ life, she’s shown wearing the iconic black gown with white ruffs she was painted in during captivity, symbolic of her widowhood. 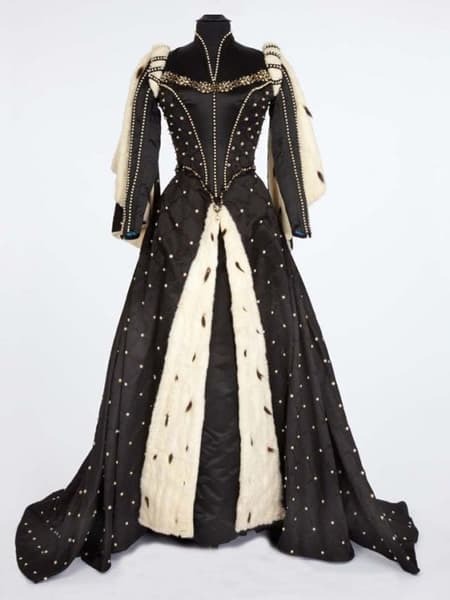 Here are some of my favorite 16th-century historical frocks in black. What are yours? Natalie Portman as Anne Boleyn at her trial in 1536. 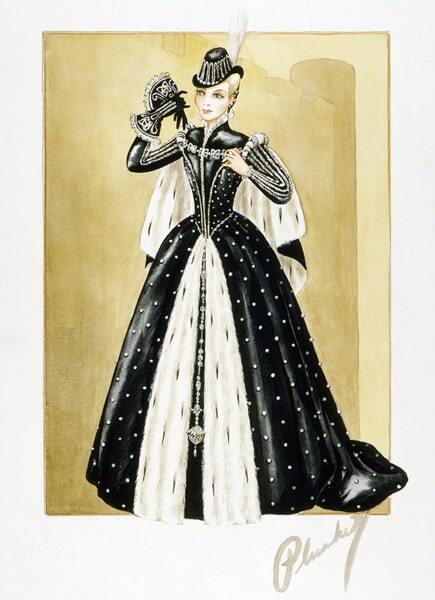 Costume sketch by Walter Plunkett. 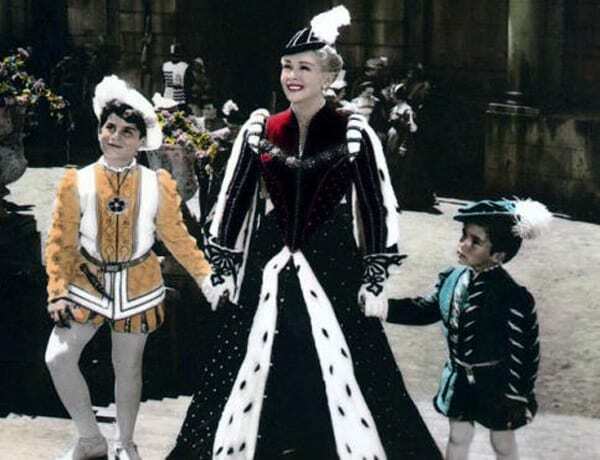 The gown worn by Lana Turner as Diane de Poiters. Diane with Henri’s young sons, supposedly in the 1540s. 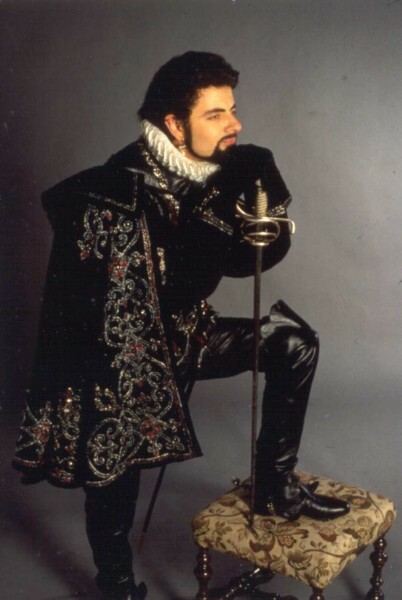 Lord Edumnd Blackadder (played by Rowan Atkinson) in 1560s garb. 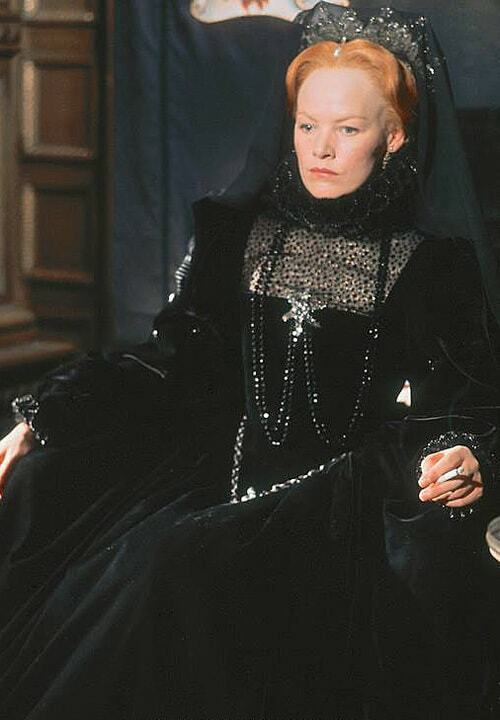 Glenda Jackson as QEI in the film Mary, Queen of Scots (1971) — behind the scenes shot, note her cigarette, lol. 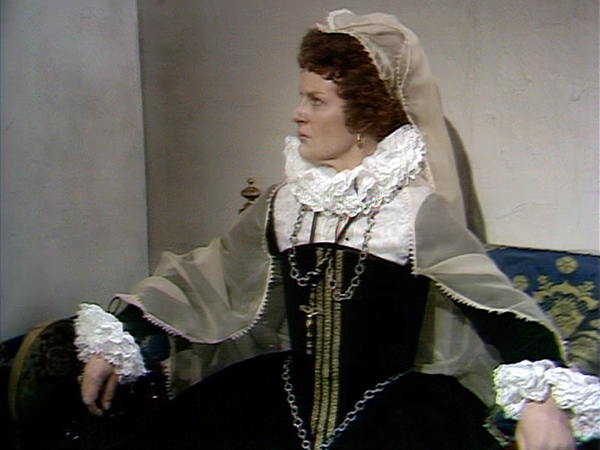 Played by Vivian Pickles in Elizabeth R, circa MQoS’ trial and execution in the 1580s. 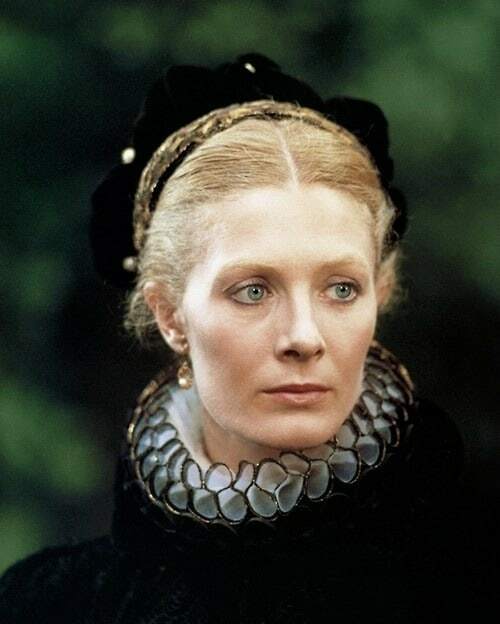 Vanessa Redgrave in the titular role of Mary Queen of Scots (1971). 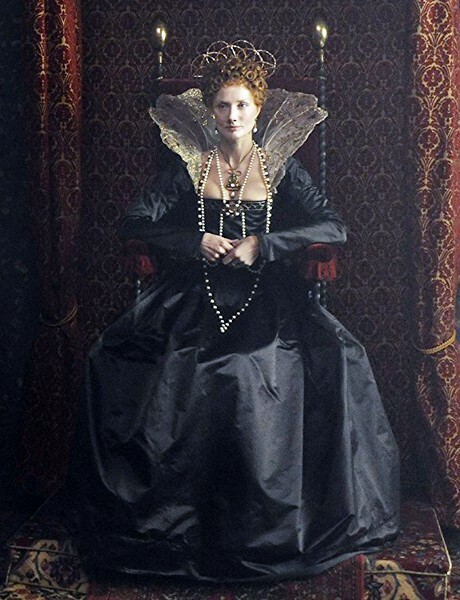 Joely Richardson as the young Queen Elizabeth, 1550s. 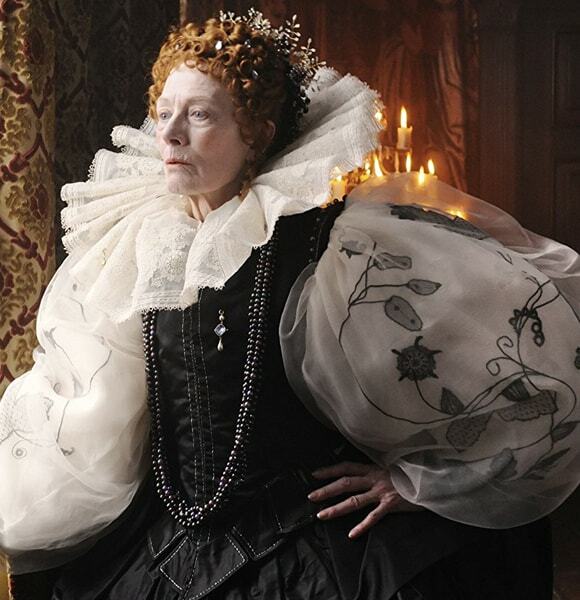 Vanessa Redgrave as the older Queen Elizabeth, circa 1580s. Technically, this is set in the 1610s, but the style is much closer to 16th century than 17th, so I’m keeping Tilda Swinton here. Who loves a black frock with me? Oh, lordy, blackwork embroidery on giganto sheer fabric sleeves I will DIE of covetousness. REally, the costumes in Black Adder were thumbs up, given it was a comedy! What’s interesting about all of those is that none of them were really designed to give you different textures of black. If you look at contemporary portraits by good artists, they really are symphonies in black: black velvet, black silk, black leather etc all are differentiated and give richness and depth. Maybe the designers just knew that wouldn’t work on screen the way it does in real life or even in paint?